A powerful tool to manage NAV-reports from within your NAV-application! Document creation, distribution, and archiving has never been this fast, simple and affordable. Become more competitive by lowering costs of document creation and output management. Reduction of project implementation time. 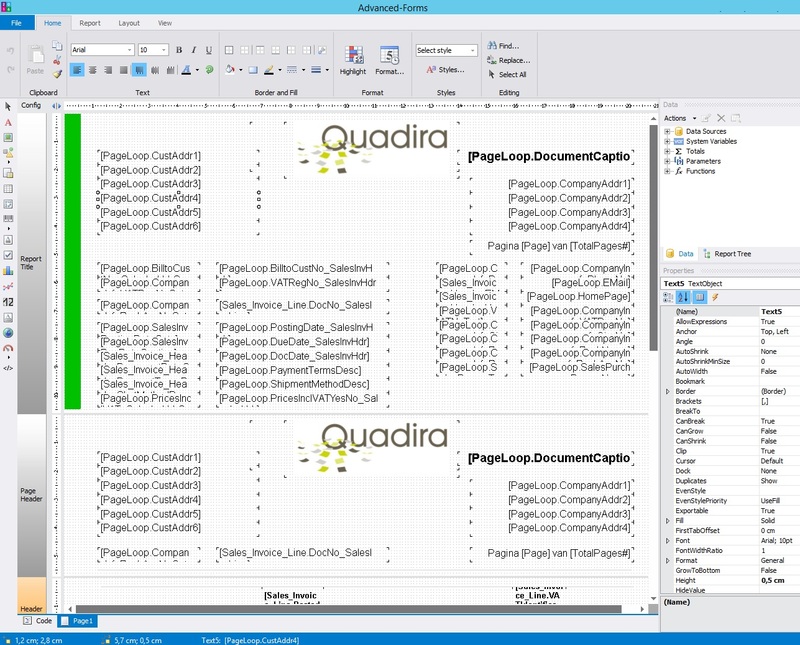 Document creation with only graphical user interfaces. Possibility to train customers so that they can manage their own documents. Offer additional consultancy and services to customers. We are more than happy to answer any of your questions or to give you a demonstration of Advanced-Forms Lite for NAV. You can contact us on +31 413 369 506, or send an email to sales@quadira.com.